Extended hours are in effect for The Pond and rink-side restaurant, Celsius. 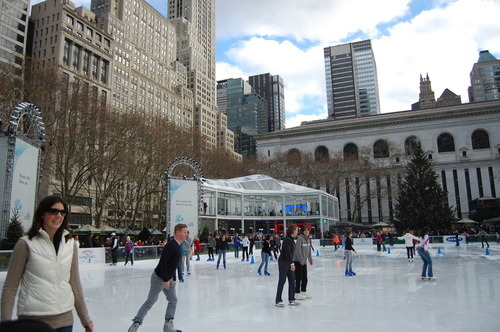 Warm up for the holidays with a hot and tasty winter beverage or by taking a spin on New York City’s only free admission ice skating rink. Visit bryantpark.org for a calendar of events in the park, or sign up here to have weekly listings sent to your inbox.